Workman Publishing Company, 9781523503544, 112pp. 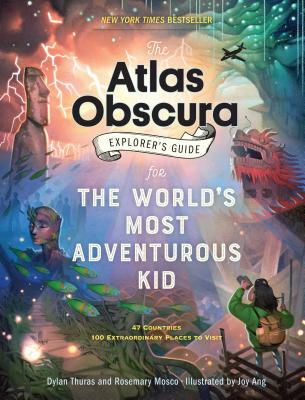 The Atlas Obscura Explorer’s Guide for the World’s Most Adventurous Kid is a thrilling expedition to 100 of the most surprising, mysterious, and weird-but-true places on earth. As you climb mountains, zip-line over forests, and dive into oceans, this book is your passport to a world of hidden wonders, illuminated by gorgeous art. Rosemary Mosco is a science communicator and acclaimed cartoonist. She is the author of the graphic novel Solar System: Our Place in Space and the webcomic Bird and Moon. She lives in Massachusetts.